AquAid’s AQ Max connects to your mains supply and uses a unique, high quality 1 micron water filtration system to deliver water that’s as refreshing and pure as water from bottle fed water coolers. With thousands of AQ Max water dispensers installed, it’s easy to see why this machine, which provides a range of options and benefits, is so popular. It has a timeless design, and boasts a host of features that make it very easy to use. These include spring loaded taps; a LED function display and an adjustable thermostat for accurate temperature control. 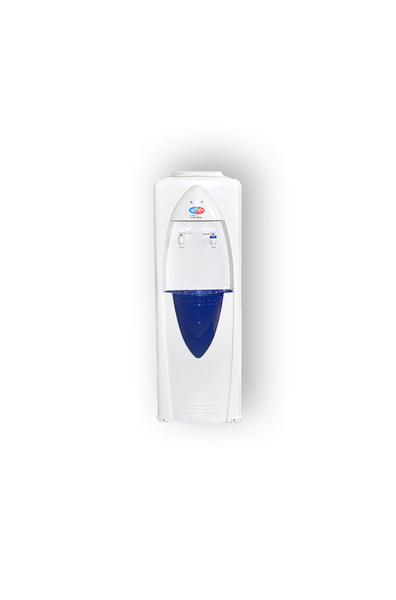 The AquAid AQ Max is available as either Hot & Cold or Cold water only. Should you install 4 Mains Fed plumbed-in water dispensers, a well, bearing your organisation’s name will be built in Africa on your behalf. However, be assured that If you don’t take 4 plumbed-in units, we will still donate a portion of the revenue from our sales to the charities that we support.